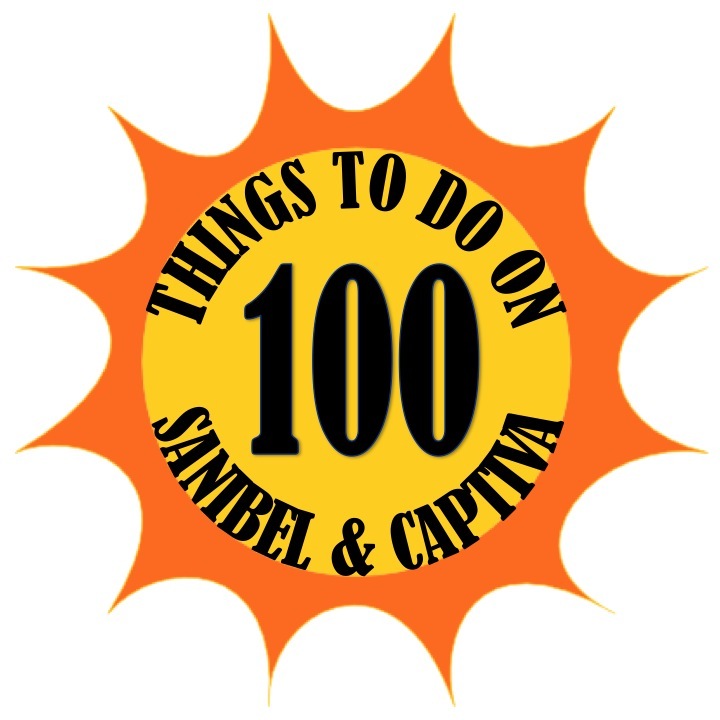 Day 3 of 100 Things to do on Sanibel & Captiva takes us to the 'Tween Waters Tree Lighting on November 27, 2015. 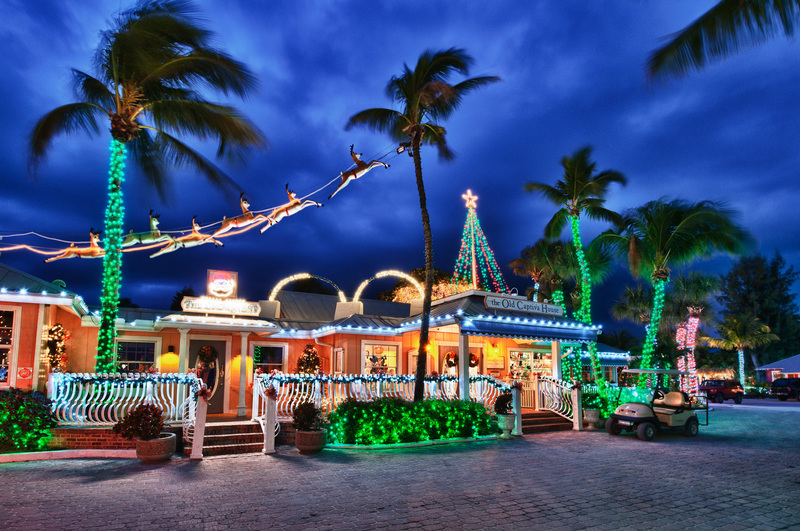 This free annual event will be held from 5-7pm at 'Tween Waters Inn on Captiva. The 'Tween Waters Tree Lighting features dancing holiday lights, Christmas carols, fireworks, hot chocolate & coffee, full bar, and lots of fun! Make sure to carpool because there is little to no parking. If you know have friends on Captiva, try to park at their home and walk to 'Tween Waters. 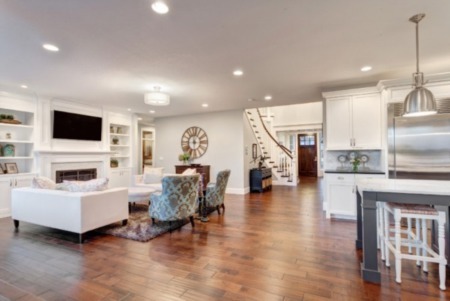 For more information be sure to check out 'Tween Waters website. 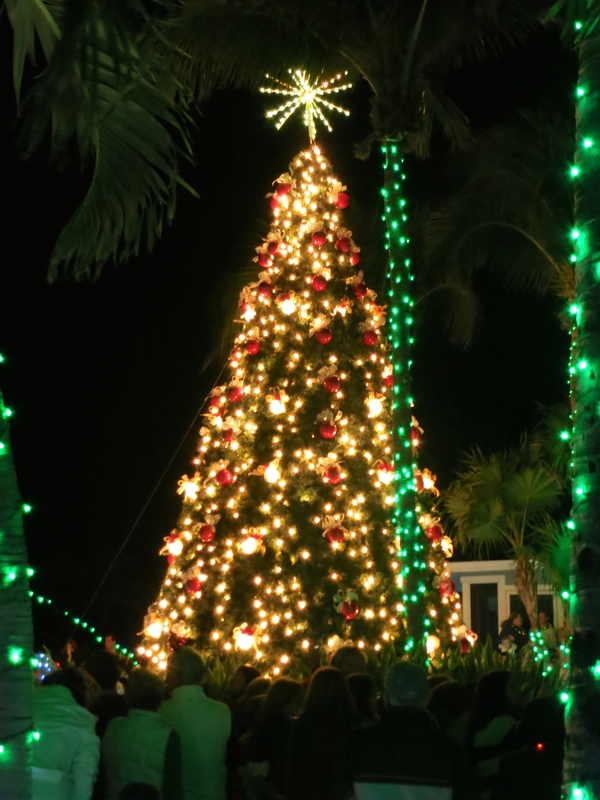 Check below for videos and photos we took from the 'Tween Waters Tree Lighting last year. We had a great time at the 'Tween Waters Tree Lighting last night! The Christmas lights and music really got us into the holiday spirit! Rudolph the Red Nosed Reindeer started the 'Tween Waters Tree Lighting and lit up the night. The lights danced to Chrismas music. Then, along the road the palm trees were lit. Santa climbing one of them. We have a lot more palm trees on Captiva than we have chimneys! Then, the 'Tween Waters tree was finally lit while O Christmas Tree was sung. Fireworks were then shot off from the beach for a grand finale of the amazing 'Tween Waters Tree Lighting! It was a chilly evening in the upper 50s so we stayed warm with the hot cocoa 'Tween Waters served. The lights looked beautiful and will shine bright all holiday season!